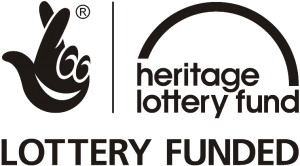 In its guidance the Heritage Lottery Fund states, “In assessing applications, we take account of outcomes for heritage, people and communities that projects will achieve” and we believe that including specialists in hardware and software in the team at application stage can help to meet those outcomes. Being sympathetic to the creative and general design approach of the exhibition. Meeting specific educational and interpretive objectives and testing against them throughout the design process to ensure that they are educationally sound and will remain relevant for future visitors. Being designed in accordance with accessibility guidelines and with DDA compliance as well as with general accessibility for the widest possible audience in mind. Being designed for robustness and longevity using commercially proven delivery platforms wherever possible to mitigate the risk of equipment failure and reduce maintenance costs. By working closely with a team of architects, lighting specialists, exhibition designers, interpreters and curatorial staff we can comprehensively specify complete systems that can be installed and implemented on a turnkey basis. This thorough approach means that, not only does the client have a robust funding application, the end result for their project is one that will meet all their objectives from both interpretive and practical perspectives.